On Sept. 16, dozens of people — men and women, young and old — gathered on a street corner in Homewood for a vigil to mark the two-year anniversary of the death of 19-year-old Anton Smith, a victim of gun violence. This vigil then itself became another tragedy, as two shooters in dark clothes emerged from across the street and opened fire on the crowd. 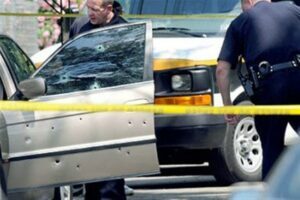 In the hail of bullets three people, a middle-aged woman, a 12-year-old girl and a 3-year-old boy, were shot and injured. This tragic scene graphically demonstrates the pain and the problems facing the Homewood community. Pittsburgh has been called America’s most livable city by various publications, but for Homewood residents, it is not. For the past 40 years, Homewood has been ignored by economic and public policy. The results have been devastating. Homewood has the highest number of shootings and gun-related deaths in Pittsburgh. Homewood also has the city’s largest number of vacant, abandoned and tax-delinquent properties. There are no grocery stores, no drugstores, no clothing stores and no name-brand store of any kind. Homewood is filled with fixed-income senior-citizen homeowners who have no equity in their homes because market values are so low and with low-income single mothers trying to raise their children in a community with failing schools and few positive activities available. The terror of drugs, crime and gun violence causes fear and despair, poisoning every resident’s quality of life. Homewood is the city’s poorest, least-diverse, most dangerous neighborhood, with the highest amount of violence and economic distress. It is a community in crisis. As the city council member representing this neighborhood, I have fought for Homewood’s transformation. And some good things are happening. Mayor Bill Peduto and his administration have started to make important changes. The Pittsburgh Bureau of Police has installed ShotSpotter, a gunshot-detection system, and surveillance cameras throughout the city’s East End, where it is also adding patrol officers. In addition, the bureau is working on a homicide-reduction program focused on violent groups, a community-partnership program and a smartphone crime-reporting application. To improve the Homewood economy, the Urban Redevelopment Authority helped build a senior-citizen, low-rise apartment building and for-sale houses. Development projects under construction include a 40-unit townhouse project, a state-of-the-art Animal Rescue League facility and several additional for-sale homes. Homewood development nonprofits have formed a collaborative that is initiating a comprehensive community plan. But these hopeful and helpful advances are not enough. To truly transform Homewood, multiple stakeholders will have to make an historic infusion of financial resources that systematically address the myriad ills afflicting this community. Picture Homewood’s stately old Victorians and Queen Annes repaired and occupied by working families. Visualize scores of new townhouses and apartment buildings surrounded by thriving businesses, manicured landscapes and healthy open spaces. In my mind’s eye, I see children excelling academically in healthy neighborhood schools and residents of all ages walking together on safe streets. Homewood can be a strong, diverse, working-class neighborhood that is fully integrated into the fabric of our great city. But to achieve all this, Homewood will need all the attention we can muster. Every interested party and every available resource must be brought to bear to revitalize and redevelop this community. Together, we must create better schools, build new housing, make our streets safer, strengthen our institutions and encourage more jobs and businesses — and we must do all these things simultaneously. This kind of unified investment in Homewood would be a tangible measurement of our city’s commitment to fairness, equity and inclusion. It would be a tangible measurement of our city’s greatness. If we can transform Homewood, arguably our city’s worst neighborhood, then we can replicate this success in the West End, the Hilltop communities and elsewhere. We can make Pittsburgh a livable city for all. The Rev. Ricky Burgess represents Pittsburgh’s 9th Council District, which includes neighborhoods in the eastern part of the city.